Is the Mandate Penalty a Penalty? Arguments for the constitutionality of the individual mandate as an exercise of the taxing power often start by noting that the penalty is reported on income tax returns, calculated as a percentage of income (with a flat minimum and a cap), and codified in the Internal Revenue Code. They go on to detail the ways the ACA’s penalty differs from typical penalties: there is no scienter requirement (one’s state of mind is irrelevant to assessment of the penalty); criminal punishments are not available to enforce payment; the amount of the penalty is reasonable, not exorbitant, and limited to the actual cost of qualifying coverage; and it is imposed in proportion to the frequency of noncompliance, month by month. These points have been fixtures of the United States’ briefs throughout the ACA litigation. Unlike any other kind of criminal penalty which I’m familiar with, when you pay the penalty here, you are excused altogether from the underlying thing that the government is asking you to do, which is to have insurance. This is a surprisingly tricky argument to tease out. First, a quick set up: Katyal wants to establish that the mandate is an exercise of the taxing power. To do that, he is arguing that the mandate penalty operates like a tax and that it does not operate like all or most other penalties. By distinguishing other penalties, Katyal hopes to strengthen the inference that the mandate is a tax. The more essential or fundamental the distinction, the stronger the inference. So that’s where we are. Now, note that Katyal couldn’t possibly mean you are generally or prospectively excused from the mandate when you pay a penalty for past noncompliance. You will still be required to get insurance in the future, or else pay another penalty. This is no different from any other kind of penalty. If you are a hospital administrator and you get hit with a “civil monetary penalty” (a fine) for some improper HIPAA disclosures, obviously payment of that penalty does not give you free license to go hog-wild releasing even more personal health information. What Katyal must mean instead is that paying the mandate penalty excuses you from correcting past noncompliance. Without undertaking a systematic inquiry, it seems plausible that other laws’ penalty schemes typically do require corrective action in addition to payment of penalties. HIPAA imposes higher penalties for uncorrected violations. Violations of Stark, the law prohibiting physician self-referrals, incur stiff penalties and require the physician to return the proceeds derived from prohibited referrals. Pay your taxes late, you pay a penalty—and you pay your taxes. In various ways, each of these penalties requires corrective action. The ACA does not. So that’s a promising interpretation of Katyal’s argument. Now let’s evaluate it. There’s something a little weird about the idea of correcting the fact that you were uninsured at some time in the past. If it were just a matter of money being in the wrong place, like a late tax payment that’s in your bank instead of the U.S. Treasury, you could easily fix that: just move the money. But there’s not really anything you could do to correct your past insurance status, so it’s not exactly clear that there’s anything for the law to excuse you from. I suppose we might say you are excused from having to get retroactive health insurance, but that would be a purely notional benefit to you, because there is no such thing as retroactive health insurance. The law might as well excuse you from giving birth to yourself. 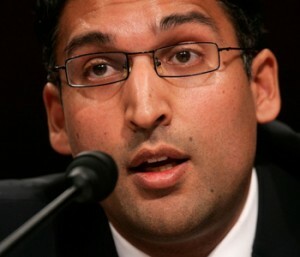 The question then is whether excusing people from corrective action tells us that (a) the ACA penalty is not like other penalties in an important way; or that (b) the ACA penalty differs only as a result of the peculiar nature of ”the underlying thing that the government is asking you to do.” Whether or not (a)—Katyal’s thesis—is right, I think (b) is wrong. It would be a mistake to think that the above-mentioned weirdness arises only because insurance is involved. The weirdness arises because the fact that you did not have insurance is irreversible. But other things can be just as irreversible. When a HIPAA violation occurs and someone’s protected health information has been disclosed, you can stop further disclosures from happening and fix whatever caused this one, but you can’t un-disclose the disclosed information. You can’t just wipe the memories of anyone who happened to see it. The genie is out of the bottle and can’t be stuffed back in. However, unlike the ACA, HIPAA does require that you correct the cause of your noncompliance. If your patients’ records aren’t secured, you’ll have to secure them. Which is to say, in the context of HIPAA, “corrective action” is not about undoing past violations—it’s about preventing future ones. And that brings us to a clear, meaningful difference with the individual mandate. The ACA penalty scheme is fundamentally indifferent to the causes of noncompliance, past or future. It is more incentive than corrective or deterrent. It offers you a choice—get coverage or pay the penalty—but there are no enforcement consequences beyond the penalty. In the eyes of the law, failing to get insurance will be like making early withdrawals from your 401(k). You are free to do it, for any reason or none, but you will pay a price for it on your taxes. Jim Hufford is a lawyer in the San Francisco Bay area blogging at Organon. I believe the ACA penalty is in violation of the U.S. Constitution, Article 1, Section 9 …No tax or duty shall be laid on Articles exported from any state. For legal purposes, isn’t the item we call insurance an “Article” just as a corporation is considered a “Person”? The ACA is not about exporting Articles out of the country, but out of state, as the Constitution goes on to mentioned in Section 10, where Exports is capitalized for specific meaning, i.e. …..lay any Imposts or Duties on Imports or Exports…, in reference to state limitations. The U.S. Constitution is specific on defining the roles of the federal and state governing and taxing authority. The federal government is NOT permitted to tax on Articles within the states, but only on revenue generating income, such as from business and persons. There is no federal taxing authority on interstate commerce. No where in our history has there been a taxing penalty, a fine, imposed by the federal government on interstate or instate commerce. We should all be asking: Why was this NOT argued in front of the SCOTUS? Furthermore, the ACA taxing penalty is not about income generation taxes, i.e. personal income tax, as argued, but about the mandated purchase of an “Article”. Thus, the argument presented is inappropriate and invalid according to the U.S. Constitution. The IRS is being used inappropriately to collect a “tax” that is not allowed under the U.S. Constitution. Donald, I haven’t read/listened to the entire transcript of the proceedings at oral argument, but I believe in the course of arguing the Commerce Clause these issues were raised. I don’t necessarily agree with the majority, but nonetheless these issues did get addressed. The Commerce Clause is a very LIMITED power to REGULATE interstate commerce granted by the individual STATES and given to the federal government to facilitate fair trade practices BETWEEN the states. That regulation power is NOT the power to levy taxes for non-compliance by forcing the engagement in interstate commerce, i.e. the individual mandate of the ACA. As for using Income tax as an example, it is paid to the federal government for individual income generated. The federal government does not force someone to work or pay a penalty for not working! No income tax is collected from non-working persons who do not engage in work for pay. The is no reasonable reason to allow taxation for non-compliance to the ACA! The SCOTUS has reversed itself in the past and it needs to do so on this ACA issue. Barring that, the Congress needs to end this ACA taxation, for it is un-Constitutional.